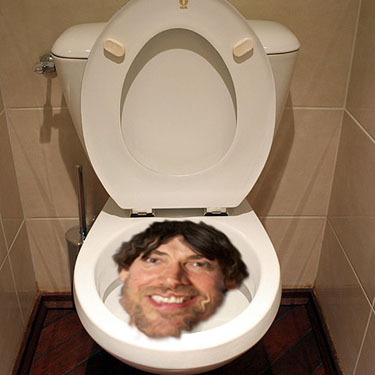 The Alex James Appreciat-o-meter lurches wildly into the red once again, with news filtering through that he’d been interviewed by the Sun’s eminently unlikeable Gordon Smart… in a toilet… Sponsored By Guinness™. For those of a stronger disposition than I, here’s the link. Warning: this article features dreary Landfill Indie bands and ‘supporting media content’. Oh, Alex. You were doing so well. Now I need to remove the poster I pinned up of you in my wardrobe again. Posted on November 7, 2012 by Joe Sparrow. This entry was posted in Headline, Today's New Band. Bookmark the permalink.